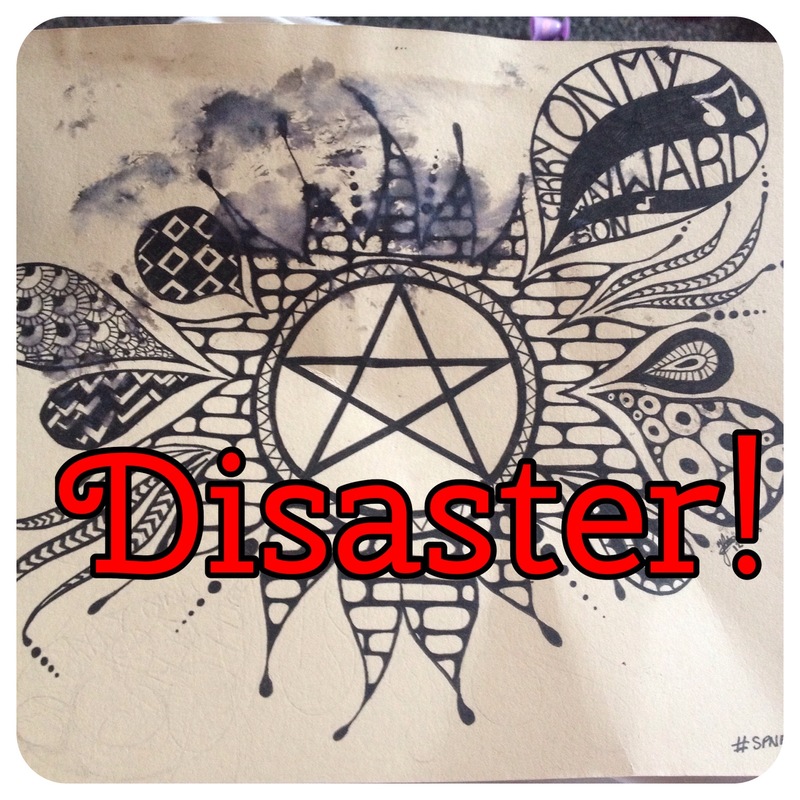 In case any one missed my original and first attempt at Zentangle/fan art, please check this post here.I was lucky enough to have an amazing response which inspired me to continue. I have a severe issue with acceptance and often shy away from sharing things with others since I always, immediately, think that whatever it is I am sharing, whether a joke or an art, will be really hated and then I will end up having a bout of depression and a severe quarter life crisis for about a week. LOOK AT IT! LOOK AT THAT! WHATTHEFUCKDIDYOUDOYOUHORRIBLECATMOTHERFUCKER!? As if it wasn’t possibly the best art my hands have ever given birth too? Like it wasn’t the best thing I have ever achieved in my life? My proudest piece of art since, since, since…. EVER? Unfortunately, I don’t have any progress shots so I’m just going to share the finished design with you and share all my notes instead… Please, Cast your eyes upon my latest attempt at a fan-art! 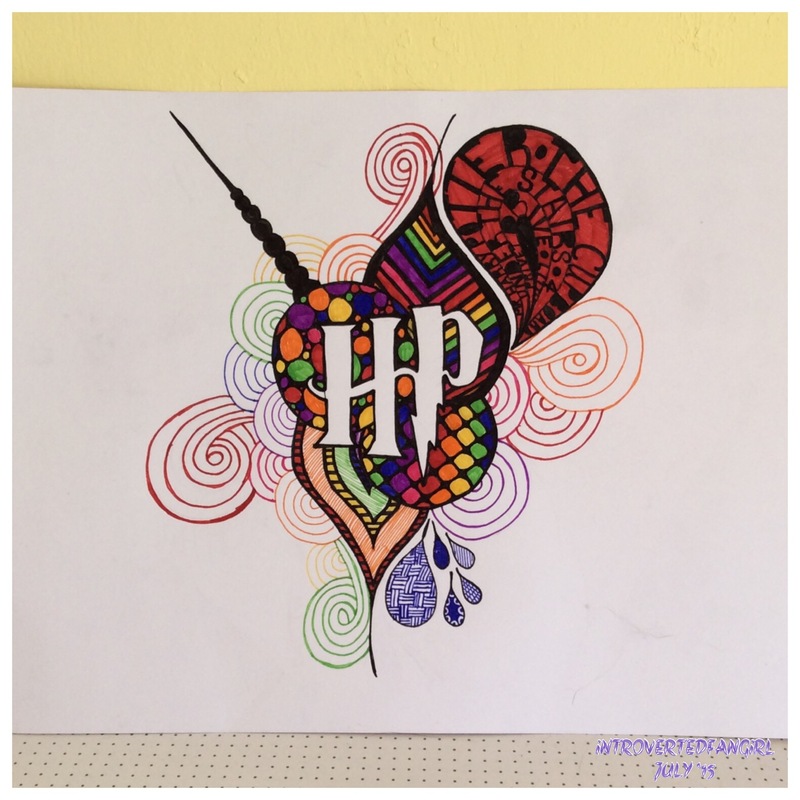 The only thing I wanted to achieve with this design was having the HP as negative space. That was what my idea consisted of. Negative space and Zentangle. 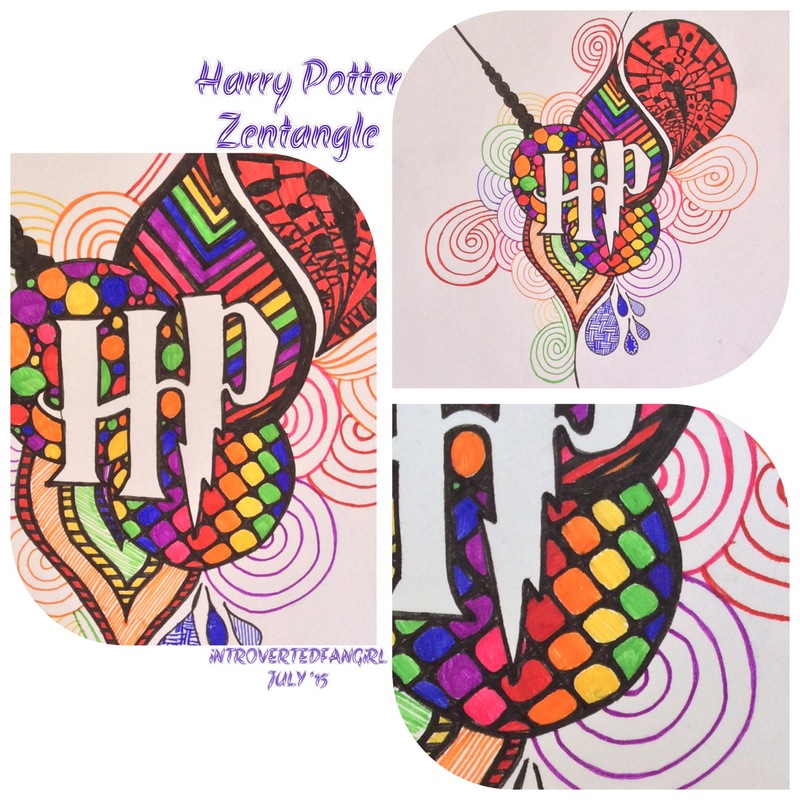 I planned all along to zentangle around the HP but I didn’t know exactly where I was going or what I was doing. It took me a few free hand sketches on some scrap paper to find a shape I liked and then I put it into action. Normally, after finishing a piece, I look at it and look at it and make a few notes. Here’s the notes I made on this piece. 1 hr 45 min Pencil work. 1 hr 17 min black work. 1 hr 22 min colour work. 7:30 – 11pm. 2 fag breaks. 4 hr 24 min draw time. Negative space works well with colours. 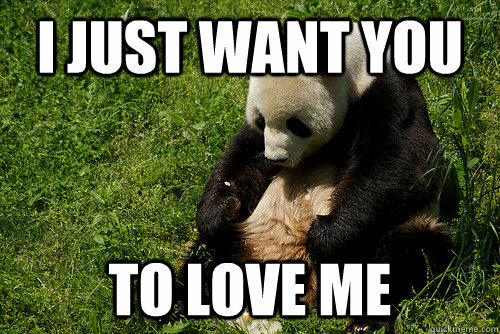 Photo resources (panda) Originals by Faye @ Introverted Fangirl. Thanks 🙂 yeah, I’ve grown to like it more as time has passed! I think Soup the cat is your biggest fan….cat must know there’s great art within you and isbtryna coax it out! I love this picture its so pretty. I dont know all the technical terms but that HP is popping! What do the words in red and black say?